"Witness' Deaths in the Clinton's Surroundings Continue"
Klaus Eberwein former Haitian government official supposedly committed suicide in a Miami, Florida hotel, July 11th, 2017 – one week prior to his scheduled testimony before a Haitian government investigative committee. The 50-year-old was known to be in excellent health and had long been looking forward to the opportunity of testifying against the Clinton Foundation before an inquiry committee. According to his statements, the Clinton Foundation received just under six billion Dollars in donations for Haiti's earthquake victims. The amount actually benefiting the victims however was only 0.6 percent of this. Why should Eberwein commit suicide this close to his goal? The situation is disturbingly like the series of deaths from June to August 2016 during Hillary Clinton’s presidential election campaign. 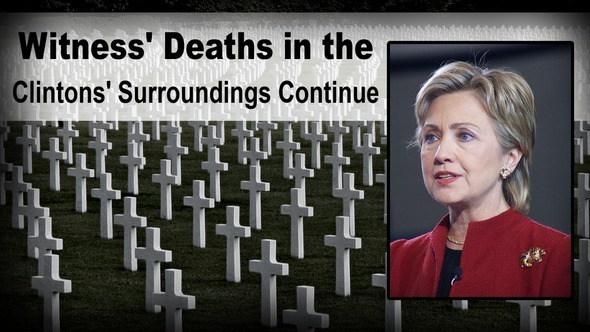 A total of six men, who had gone public with their insider information about criminal financial transactions or manipulations during the presidential primaries, died all within a period of only six weeks. Kla.tv reported. (www.kla.tv/9150). The first death was that of John Ashe in June 2016. John Ashe, former president of the General Assembly of the United Nations, was to testify in a trial about illegal financial transactions, in which Bill und Hillary Clinton seemed to be involved. But, just one week before the testimony, on June 22nd, 2016 he died unexpectedly, supposedly due to a heart attack. Police officers from his residential community near New York disputed this claim and testified instead that he had smashed his larynx during his fitness training and died as a result of this. The circumstances surrounding Ashe’s death have never been clarified. Is there a connection between the dubious death of John Ashe and his scheduled testimony against the Clintons, just like in a number of other similar cases? 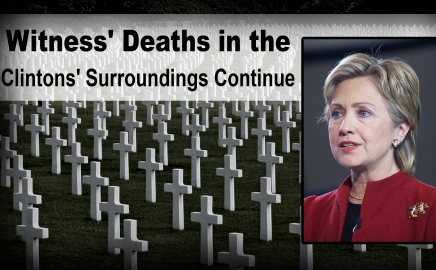 Every single witness' death in the Clinton's surroundings requires a thorough investigation.